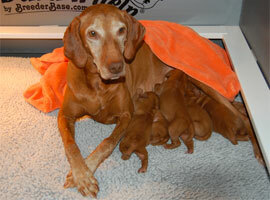 Interested in introducing a Vizsla puppy to your family? 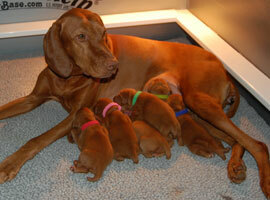 A puppy is a great addition to any family, but everyone must be in agreement with adding a puppy to the family. 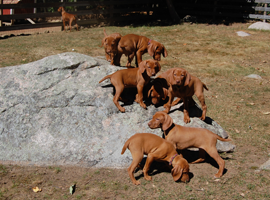 Everyone must be committed to helping in the caring of, exercising and training a puppy whether he or she is to be trained for hunting, field trials, hunt tests or a pet. 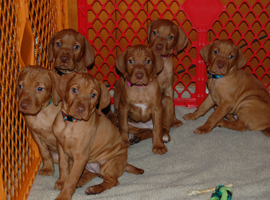 If you are looking for a Vizsla puppy, or if you are looking for information about Vizslas, or if you want to talk to us about Vizslas, check out our contact & links page.